ItemI-52037 - English church, West Summerland. ItemI-52041 - "Vernon Road, Woods Lake"
ItemI-52042 - "Abbots place at Mission". ItemI-52594 - "Eastwood multiple arch dam under construction, Granby Consolidated Mining and Smelting Co. at Anyox". ItemI-52595 - "Multiple arch dam at Anyox, the Granby Consolidated Mining and Smelting Company". ItemI-52596 - "The Granby Consolidated Mining and Smelting Co. Ltd. at Anyox; Eastwood multiple arch dam". 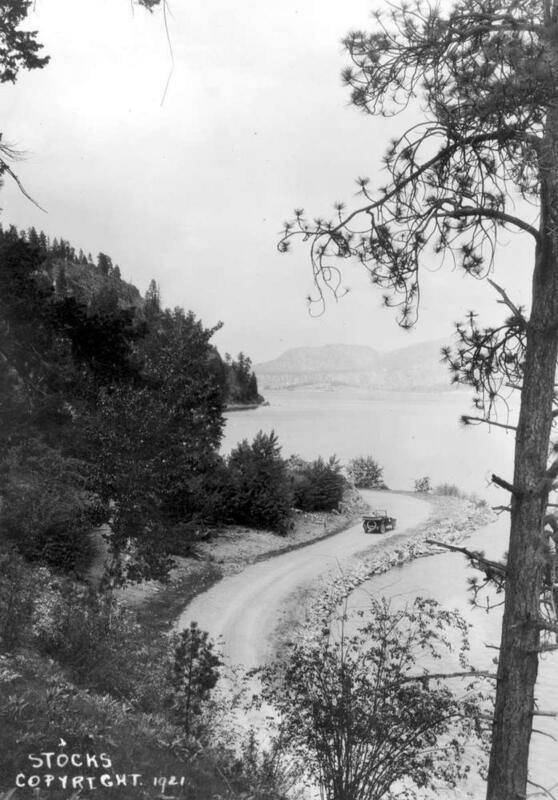 Item I-52041 - "Vernon Road, Woods Lake"